A meditation tool for creativity and intuitive spark! The stimulation of the mind can be enhanced by using pyrite in conjunction with fluorite and calcite. 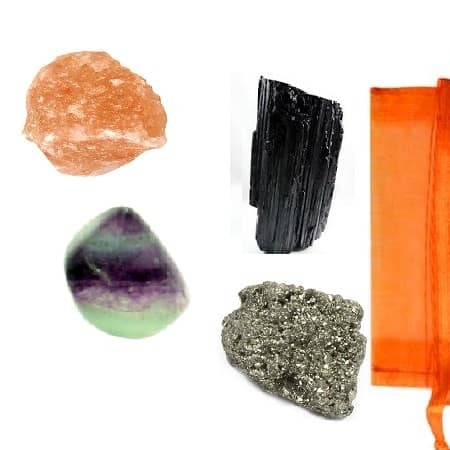 This kit also includes, black tourmaline, the stabilizer. These stones, together, help to balance creative energy with intuitive impulse. Opens communication skills. Strongly suggested for people who tackle large conceptual ideas in business, the arts, or education. Pyrite relieves frustration and anxiety by boosting self worth, confidence and trust. It is a stone of recognition. Helping us to realize just who we are by encouraging self worth. This stone represents the sun’s golden energy, therefore, bringing positive energy. This extremely positive stone ignites our potential, improves our inertia and feelings of inferiority. Orange Calcite brings the warmth and glow of the sun. 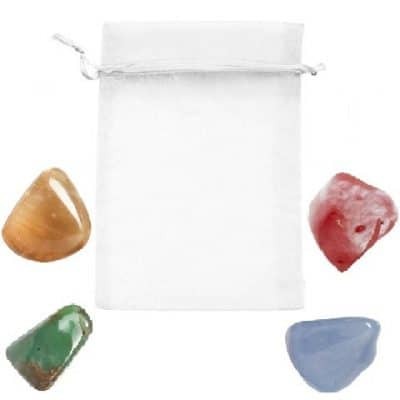 It is a stone that helps with communication and resonates with our body and auric field. Rainbow Fluorite captures the light of the upper Chakra and tunes in with the heart. It captures the higher and Universal powers through its layers of color and “frozen light”. Black Tourmaline is the grounding stabilizing force that brings all these power stones together. 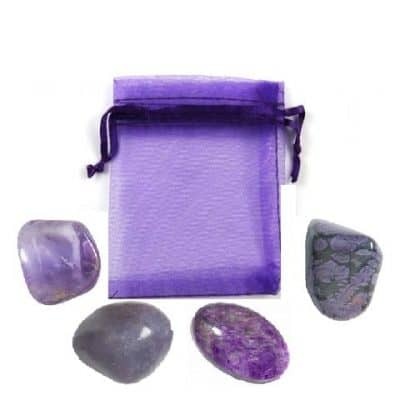 This is an exceptional kit for meditation, used as altar stones or crystals for your Sacred space. We include all 4 stones in a medium to large size. 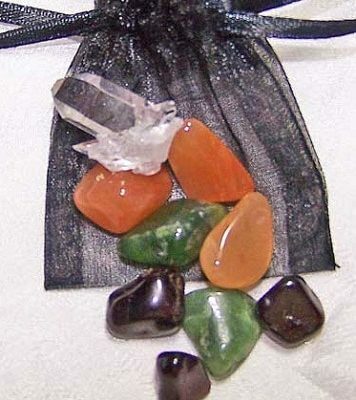 We include the metaphysical and healing properties of each stone and how to care for and clean them. 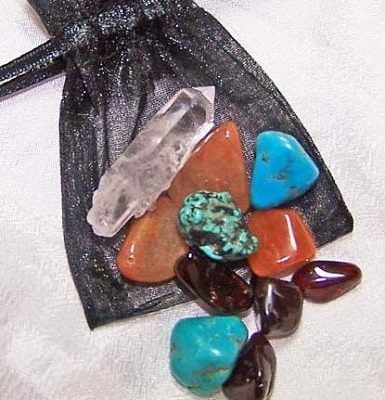 We include single healing methods for each stone as well as a group meditation with all stones for boosting creative spark and using your intuition. Comes with an organza bag for storage.